Rebecca King Ferraro and Michael Sean Breeden from the popular podcast series, “Conversations On Dance” host in-depth discussions with Festival artists from dancers – past and present – to musicians and choreographers. The Forums are inspirational and thought-provoking conversations with those engaged in the dance world. You can hear selections from the 2017 Vail Dance Festival here. A limited number of $20 tickets are available and price includes light food and drink. Hosted by Manor Vail Lodge. 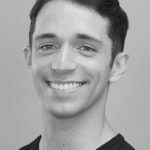 Justin Peck, one of the world’s most sought after and celebrated working ballet choreographers, and fresh off a Tony nomination for his work on the Broadway musical ‘Carousel’, will be premiering his first work at the Vail Dance Festival. Caroline Shaw, composer-in-residence at VDF, has been commissioned to create the score for this work. In conversation together with these artists, we will explore the possibilities of such a collaboration, from the first moments of mutual inspiration to bringing the premiere to the stage. Festival Forum: What’s Special about Vail? New to the festival last year, Francesca Hayward and Marcelino Sambé, dancers with the Royal Ballet, are pleased to be back at VDF for the 2018 festival. We will talk with Francesca and Marcelino about the unique allure and feeling of the Vail Dance Festival, what separates it from other work outside the Royal Ballet, the intercompany and interdisciplinary collaborative spirit present at Vail, and how this experience enriches their work back at home. Merce Cunningham is one of the greatest and most influential choreographers of the 20th century. In honor of his centennial, we are pleased to host a panel of esteemed guests including dancers of his works from past and present and scholars who will explore Merce’s work methods, collaborations with artists like John Cage and Robert Rauschenberg, and broad influence in the avant-garde, in dance and beyond. Roman Mejia is one of the newest members of the New York City Ballet, having burst onto the scene at the Vail Dance Festival fresh out of the School of American Ballet. In just his first year at the company, he’s garnered critical acclaim for numerous solo roles, and is quickly gathering momentum as a dancer to be seen. We will talk with Roman about the pressures of being thrust into the spotlight so soon into his career, how he prepares for these challenges, and how coming from a ballet family has prepared him in his career. 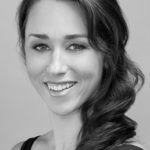 Claudia Schreier has roots in the Vail Dance Festival as a young intern that grew into a burgeoning career as a choreographer noticed by major companies and critics alike. Ms. Schreier is expanding her impressive portfolio by premiering a new work this year on two dancers from Ballet Hispánico. This conversation will focus on the choreographic process, building a positive relationship between choreographers and companies, and how VDF nurtures these artistic offerings. One of the most celebrated dancers of her generation and a VDF staple for more than a decade, Tiler Peck will be making her choreographic debut at this summer’s festival. We will talk with Tiler about what spurred this artistic choice and how her life’s influences, from her time on broadway, to her work with a wide range of choreographers, to her oft-noted exquisite sense of musicality, come together to impact her first work as choreographer. Rebecca King Ferraro was born and raised in Northern California. She received her ballet training from Contra Costa Ballet Centre in Walnut Creek, Calif. King spent two summers studying at San Francisco Ballet School under the direction of Gloria Govrin. Her senior year in high school, she attended The Rock School in Philadelphia. After graduating in 2006, she moved to Miami to train at Miami City Ballet School. King joined Miami City Ballet in 2007 as a company apprentice and was promoted to corps de ballet in 2008. Since then, she has worked with many of today’s most sought-after choreographers including Christopher Wheeldon, Alexei Ratmansky, Liam Scarlett and Justin Peck. She has danced in the majority of MCB’s Balanchine repertoire, as well as classical full-length ballets and contemporary works. From 2010-2016, she served as a Company Representative on behalf of the dancers, a role similar to a union representative. In 2010, she founded a dance blog, TendusUnderAPalmTree.com, which has enabled her to reach out to dancers and audience members from around the globe. In 2012, Ms. King started her own social media management company where she helps her clients reach their marketing potential through online platforms. King has taught ballet master classes across the country and is currently a member of the faculty of The Dance Academy of Stuart in Stuart, FL. Ms. King retired from Miami City Ballet in 2018, after an 11 year career with the company. Michael Sean Breeden was born in Lexington, KY, where he began training at the Lexington Ballet at the age of 7. He began attending the School of American Ballet on scholarship in 2002, with additional training completed at San Francisco Ballet, Central Pennsylvania Youth Ballet and Vostrikov’s Academy of Dance. While a student at the School of American Ballet, Mr. Breeden performed ‘Tarantella’ at Symphony Space’s Wall-to-Wall Balanchine centennial event, as introduced by Lourdes Lopez and Edward Villella. Mr. Breeden joined Miami City Ballet as an apprentice in 2006 and was promoted to the corps de ballet in 2008. Since joining the company, he has performed in the works of George Balanchine, Jerome Robbins, Frederick Ashton, Antony Tudor, Twyla Tharp, Paul Taylor, Alexei Ratmansky and Liam Scarlett. Mr. Breeden has joined Miami City Ballet on acclaimed tours to New York City, Los Angeles, Chicago, and Paris. Since January 2014, Michael has given interactive pre-performance talks for the Miami City Ballet that broaden the audience’s knowledge of the ballets programmed and allows them to directly question the artists involved. Michael has also danced for Boston Ballet, Pennsylvania Ballet, Oregon Ballet Theatre and Suzanne Farrell Ballet. Mr. Breeden most recently worked as Ballet Master for Troy Schumacher’s, BalletCollective.